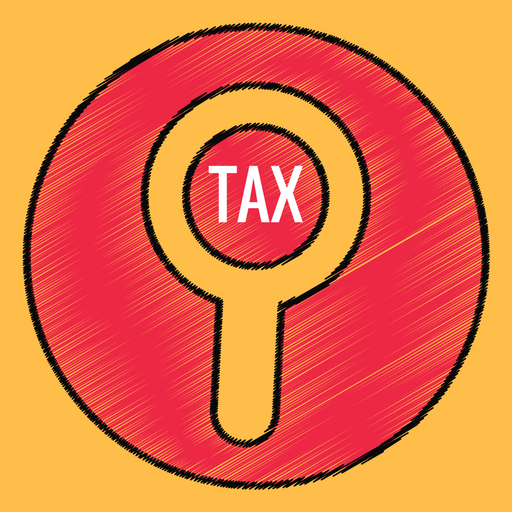 Madras H.C : The Transfer Pricing Report and the Transfer Pricing Documentation had been filed with the respondent during the assessment year. P.H. Arvind Pandian Sr. Counsel, M/s. P.J. Rishikesh for the Petitioner: T. Pramod Kumar Chopda Sr. Standing Counsel for the Respondent. 1. The impugned assessment order dated 27.03.2015 relating to PAN/GIR No. AABCR1863L for assessment year 2012-2013 and the Corrigendum to Assessment Order dated 9.4.2015 bearing No: AABCR1863L/12-13/99 are being challenged on the ground that the circular issued by the department in accordance with Section 144 C of the Income Tax Act has not been complied with. The international transactions involved by the petitioner in this writ petition are referred to in paragraph 5 of the affidavit filed in support of the writ petition. The said international transactions were certified to be at arm’s length, based on Transactional Net Margin Method as defined. The Transfer Pricing Report and the Transfer Pricing Documentation had been filed with the respondent during the assessment year. The Provisions of Section 144C makes it clear that if the assessing authority proposes to make any variation in income or loss returned by the assessee, necessarily he has to pass a draft assessment order, forward it to the assessee with all the details and after the assessee files his objections, the assessment can be completed within one month. Section also provides an option to the assessee to file the objections before the Disputes Resolution Panel which can issue a direction for guidance of the assessing authority to enable him to complete the assessment. Since the respondent failed to follow the above provision, the petitioner is before this Court. According to the learned Senior counsel for the petitioner the respondent failed to follow the provisions of Section 144 C of the Income Tax Act, 1961. By the act of the respondent, the petitioner lost several opportunities. The learned Senior Counsel appearing for the petitioner further submitted that as per the C.P.D.T. instructions dated 20.05.2003, the value, once it crosses over and above a sum of Rs. 5 crores, necessarily the assessing authority has to refer the matter to the Transfer Pricing Officer so as to proceed further. In this case, admittedly, the matter has not been referred to the Transfer Pricing Officer. Hence, he seeks to quash the said order. The standing counsel for the respondent submitted that as per Section 92 CA (1) where the assessee has entered into an international transaction or specified domestic transaction and the assessing officer considers it necessary or expedient so to do, he may with the previous approval of the competent authority refer the computation of Arms length price to the Transfer Pricing Officer. He further submitted that no reference to transfer pricing officer in terms of Section 92 CA, was referred and the respondent proceeded to compute the arms length price of the international transaction of the petitioner after affording due opportunity to the petitioner and passed the impugned order. Hence, he sought to dismiss the writ petition. “144C. (1) The Assessing Officer shall, notwithstanding anything to the contrary contained in this Act, in the first instance, forward a draft of the proposed order of assessment (hereafter in this section referred to as the draft order) to the eligible assessee if he proposes to make, on or after the 1st day of October, 2009, any variation in the income or loss returned which is prejudicial to the interest of such assessee. (13) Upon receipt of the directions issued under sub-section (5), the Assessing Officer shall, in conformity with the directions, complete, notwithstanding anything to the contrary contained in section 153 51a[or section 153B], the assessment without providing any further opportunity of being heard to the assessee, within one month from the end of the month in which such direction is received. (14) The Board may make rules52 for the purposes of the efficient functioning of the Dispute Resolution Panel and expeditious disposal of the objections filed under subsection (2) by the eligible assessee. (14A) The provisions of this section shall not apply to any assessment or reassessment order passed by the Assessing Officer with the prior approval of the Commissioner as provided in sub-section (12) of section 144BA. 29.04.2014, held as follows :-“20. Under Section 144 (C) of the Act, it is evident that the assessing officer is required to pass only a draft assessment order on the basis of the recommendations made by the TPO after giving an opportunity to the assessee to file their objections and then the assessing officer shall pass a final order. According to the learned senior counsel for the petitioners, this procedure has not been followed by the second respondent inasmuch as a final order has been straightaway passed without passing a draft assessment order. 22. As mentioned supra, as per Section 144C (1) of the Act,the second respondent – assessing officer has no right to pass a final order pursuant to the recommendations made by the TPO. In fact, the second respondent – assessing officer himself has admitted by virtue of the corrigendum dated 15.04.2013, that the order dated 26.03.2013 is only a final order and it was directed to be treated as a draft assessment order. In this context, it is worthwhile to refer to the decisions of the Hon’ble Supreme Court in the decision reported in Deepak Agro Foods vs. State of Rajasthan and others reported in 2008 (16) VST 454 SC wherein in Para No.10, the Hon’ble Supreme Court discussed as to when an order could be construed as a final order. It is evident from the above decision of the Division Bench of this Court that where there is an omission on the part of the assessing officer to follow the mandatory procedures prescribed in the Act, such an omission cannot be termed as a mere procedural irregularity and it cannot be cured. “A reading of the above section shows that if the assessing officer proposes to make, on or after 01.10.2009, any variation in the income or loss returned by an assessee, then, notwithstanding anything to the contrary contained in the Act, he shall first pass a draft assessment order, forward it to the assessee and after the assessee files his objections, if any, the assessing officer shall complete assessment within one month. The assessee is also given an option to file objections before the Dispute Resolution Panel in which event the latter can issue directions for the guidance of the Assessing Officer to enable him to complete the assessment. 20.09.2011 and forwarded it to the Assessing Officer and to the assessee under sub-section (3) thereof. The assessing officer accepted the variation submitted by the TPO without giving the petitioner any opportunity to object to it and passed the impugned assessment order. As this has occurred after 01.10.2009, the cut off date prescribed in sub-section (1) of S.144C, the Assessing Officer is mandated to first pass a draft assessment order, communicate it to the assessee, hear his objections and then complete assessment. Admittedly, this has not been done and the respondent has passed a final assessment order dated 22.12.2011 straight away. Therefore, the impugned order of assessment is clearly contrary to S.144C of the Act and is without jurisdiction, null and void. The contention of the Revenue that the circular No.5/2010 of the CBDT has clarified that the provisions of S.144C shall not apply for the assessment year 2008-09 and would apply only from the assessment year 2010-2011 and later years is not tenable in as much as the language of Subsection (1) of Section 144C referring to the cut off date of 01.10.2009 indicates an intention of the legislature to make it applicable, if there is a proposal by the Assessing Officer to make a variation in the income or loss returned by the assessee which is prejudicial to the assessee, after 01.10.2009. Therefore, this particular provision introduced by Finance (No.2) Act, 2009, would apply if the above condition is satisfied and other provisions, in which similar contrary intention is not indicated, which were introduced by the said enactment, would apply from 01.04.2009 i.e., from the assessment year 2010-2011. It is not disputed that the memorandum explaining the Finance Bill and the Notes and clauses accompanying the Finance Bill which preceded the Finance (No.2) Act, 2009 clearly indicated that the amendments relating to S.144C would take effect from 01.10.2009. In our view, the circular No.5/2010 issued by the CBDT stating that S.144C(1) would apply only from the assessment year 2010-2011 and subsequent years and not for the assessment year 2008-09 is contrary to the express language in S.144C(1) and the said view of the Revenue is unacceptable. The circular may represent only the understanding of the Board/Central Government of the statutory provisions, but it will not bind this Court or the Supreme Court. It cannot interfere with the jurisdiction and power of this Court to declare what the legislature says and take a view contrary to that declared in the circular of the CBDT (Ratan Melting and Wire Industries Case (1 Supra), Indra Industries (2 supra). The Revenue has not been able to pursuade us to take a contra view by citing any authority. In this view of the matter, we are of the view that the impugned order of assessment dated 23.12.2011 passed by the respondent is contrary to the mandatory provisions of S.144C of the Act and is passed in violation thereof. Therefore, it is declared as one without jurisdiction, null and void and unenforceable. Consequently, the demand notice dated 23.12.2011 issued by the respondent is set aside. As against this order of the Division Bench of the Andhra Pradesh High Court, the Revenue went on appeal before the Honourable Supreme Court. The record of proceedings of the Supreme Court indicate that the Special Leave Petition was dismissed on 27.09.2013. “13. On the basis of aforesaid reasoning, the Tribunal concluded that once validity of CBDT Circular was upheld, as per the said circular the Assessing Officer was duty bound to refer the matter to the TPO having regard to the purpose of Specialized Cell created by the Revenue Department to deal with complicated and complex issues and since this channel was not resorted to by the Assessing Officer in the instant case, the Commissioner was right in passing the order under Section 263 of the Act. 14. No doubt, the validity of the said instruction was upheld on the touch stone of Article 14 of the Constitution holding that it was based on reasonable classification and there was rationale nexus with the objectives sought to be achieved. At the same time, we feel that while doing so this Court had also laid down the rigors of the said Circular. No doubt, this Court observed, in the process that the said Circular acted as a guideline to the Assessing Officer. However, much mileage cannot be drawn by the appellant from those observations as these observations were made while dealing with the contention of the petitioner in the said petition. That instruction completely takes away the discretion of the Assessing Officer in relation to an international transaction if the aggregate value thereof exceeded Rs. 5 crore. This contention was turned down in the following words :-” 37. The other ground on which the instruction is challenged is that it completely takes away the discretion of the AO in relation to an international transaction of the value exceeding Rs. 5 crores. A reading of the impugned instruction indicates that it acts as a guideline to the AO in the exercise of the discretion conferred under Section 92CA (1). This instruction is in fact helpful in ensuring that the discretion of the A will not be abused. It correctly interprets the law as requiring only a formation of a prima facie opinion by the AO at the stage of the reference. Therefore, the question of the CBDT supplanting the judicial discretion of the AO does not arise. It is perfectly possible that, independent of the circular, the AO might still “consider it necessary or expedient” to refer an nternational transaction of such value of the TPO for determination of the ALP. At the same time it is not as if the transactions of the valueof less than Rs. 5 crores cannot be referred to the TOP by the AO. Ultimately, any exercise of discretion by the AO is bound to be judicially reviewed by the statutory appellate authorities as well as by Courts. Therefore, it is not as if there is no check on the exercise of discretion by the AO. Since the provisions of the Act makes it very clear that under Section 92 CA of I.T. Act the only option is to place the matter to the TPO and the same has not been followed, this Court feels it appropriate to set aside the order of the assessing authority so that the matter can be referred to the TPO. Accordingly, the order impugned in this writ petition is set aside and the matter is remanded to the Assessing Authority who shall in turn refer the matter to the Transfer Pricing Officer. On such reference, the Transfer Pricing Officer shall proceed in accordance with the C.P.D.T. Regulations dated 20.05.2003. This writ petition stands disposed of in the above terms. Connected miscellaneous petition is closed. There shall be no orders as to the costs. This entry was posted in Sec. 144C, Section 144, Section 92CA and tagged 380 ITR, In favour of Matter remanded, Madras High Court, transfer pricing.